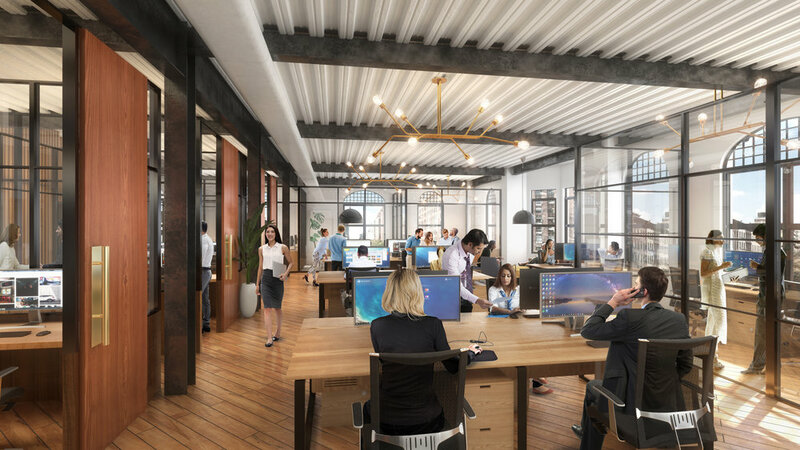 Directly adjacent to Metro North’s 125th Street station and in close proximity to the East and West Side subways, the Corn Exchange is your ideal location for office, creative production, or medical users. The building is LEED-certified with stunning views, efficient floors, roof deck and building signage opportunities. 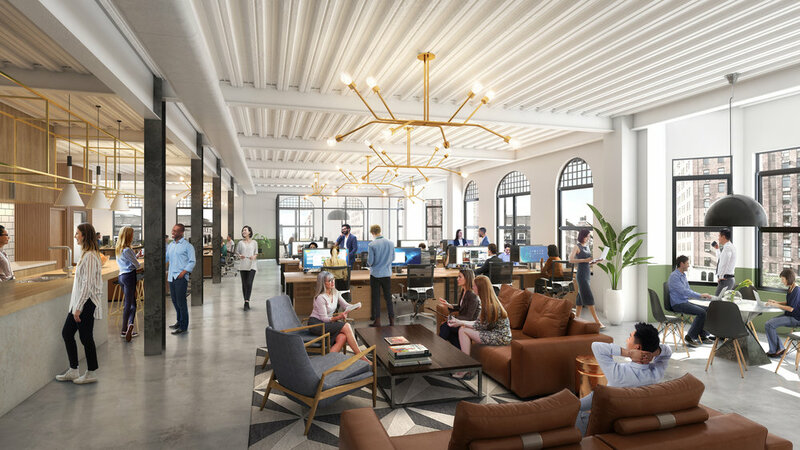 Office space at The Corn Exchange qualifies for the New York Relocation and Employment Assistance Program (REAP), an annual tax credit of $3,000 for twelve years per eligible employee (new hires or employees relocating from below 96th Street or outside of New York City). Open office floor with full floor to ceiling glass exposure on the south and eastern sides, and private roof terrace access. Typical office floor with open office sample fitout showing full kitchen, lounge area, closet, and medium and large conference rooms. Typical office floor with mix of office and open plan sample fitout showing full kitchen, storage, and two medium conference rooms. The Corn Exchange offers ground floor retail space along 125th St, the central commercial corridor in Harlem that sees over 225,000 people each day. The location is also directly adjacent to the Metro North Harlem 125 St. Station, a central train hub where over 175,000 commuters pass through each day and are minutes away from the 4,5,6, and 2,3 express subway lines. 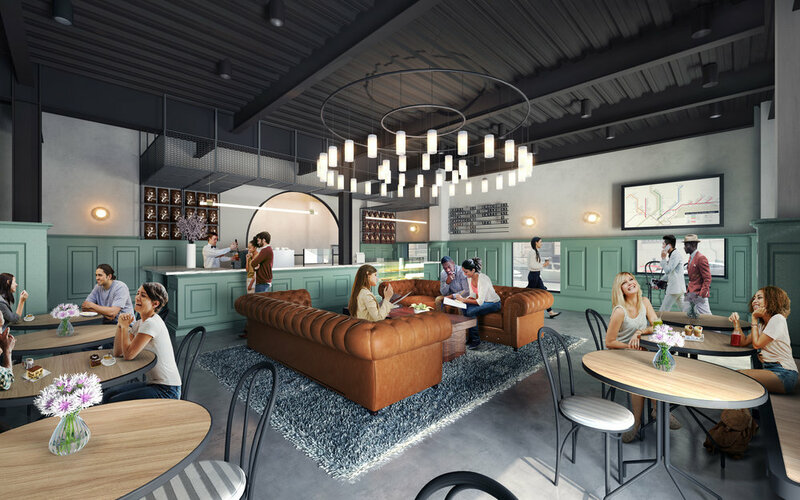 Both retail spaces are perfect for a diverse range of use including vented restaurant, cafe, or gym. There is also an additional full height cellar which can be leased that has direct access to both retail spaces. Turnkey cafe space with sample fitout for a restaurant. Turnkey cafe space with sample fitout for a gym. Full height cellar space with direct access to ground floor retail.